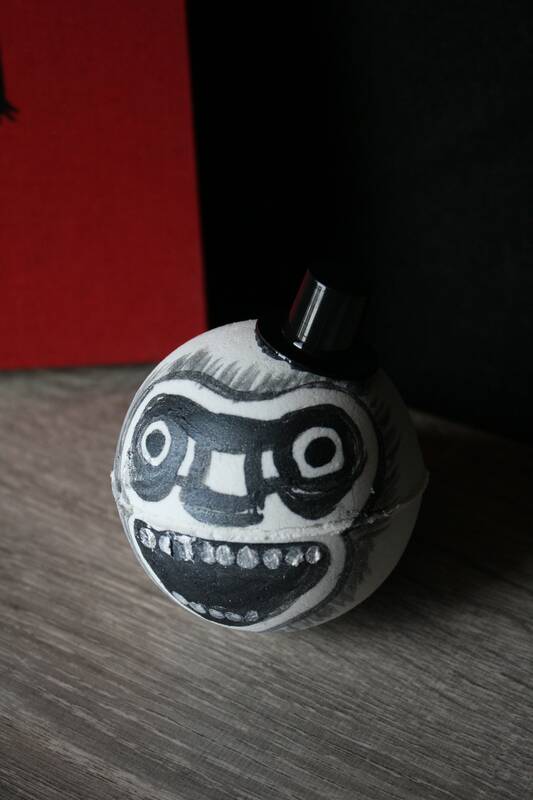 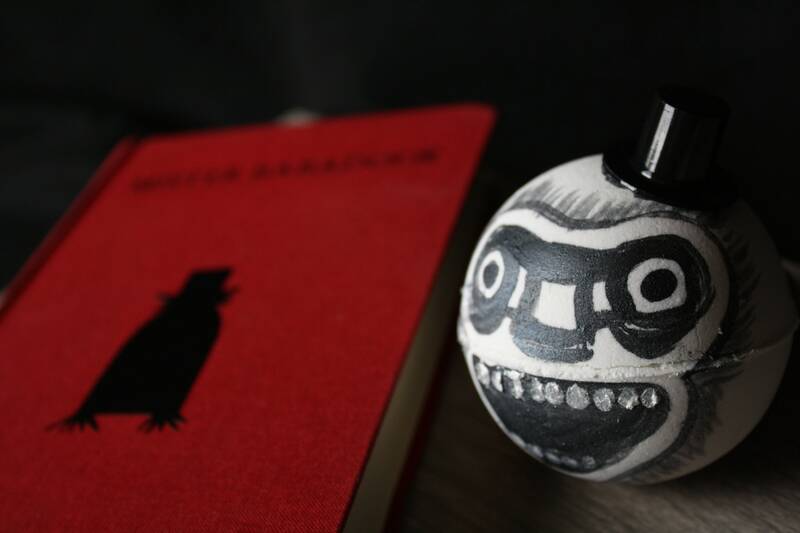 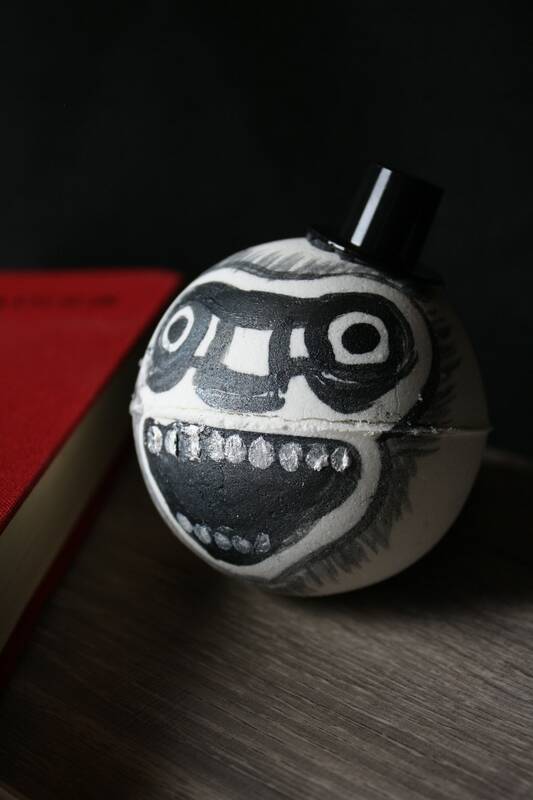 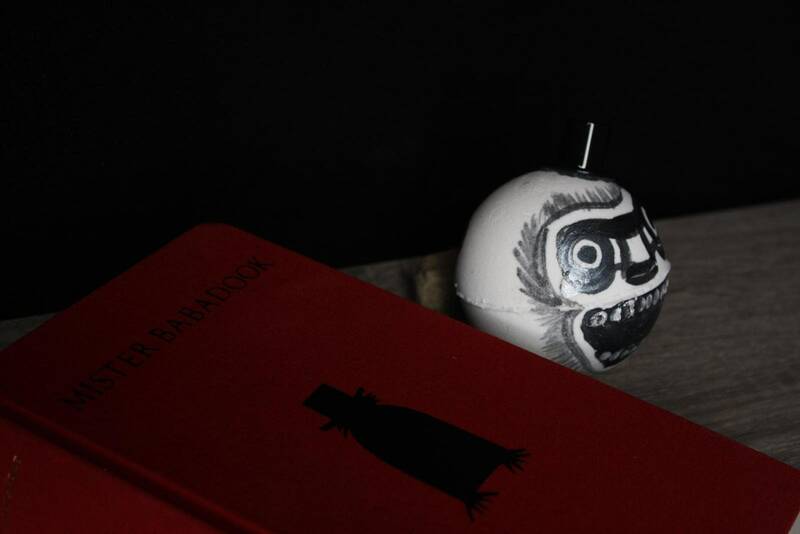 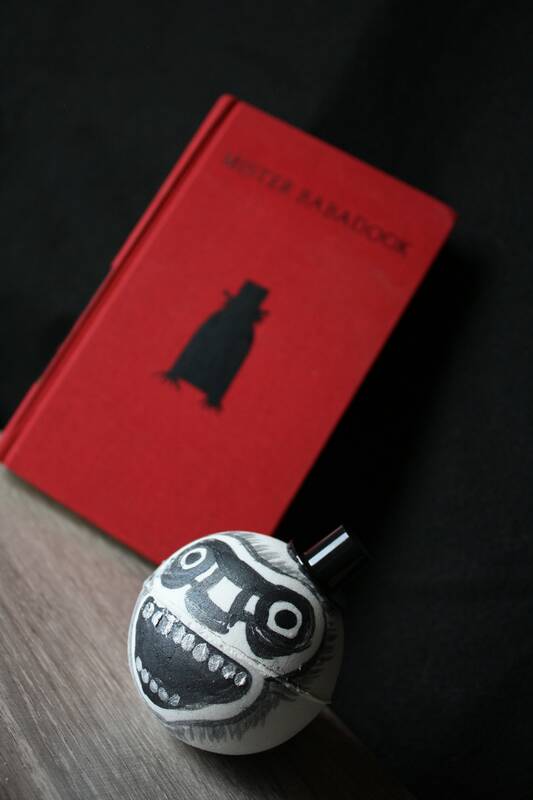 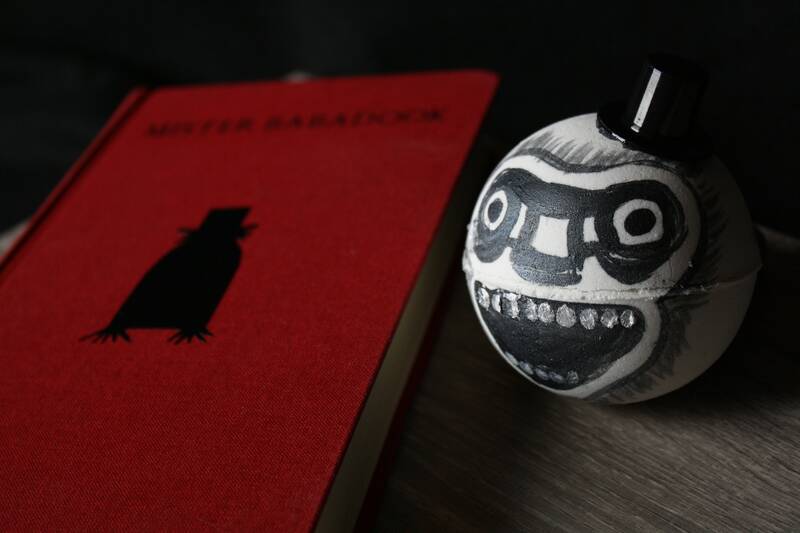 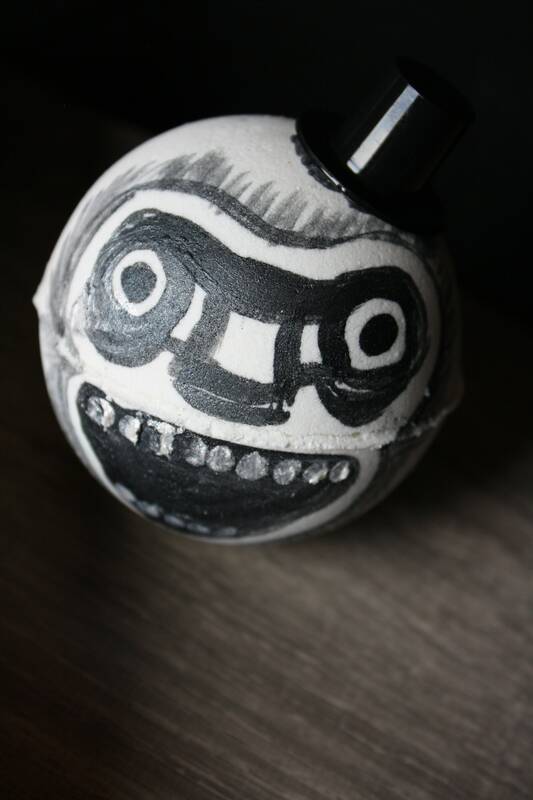 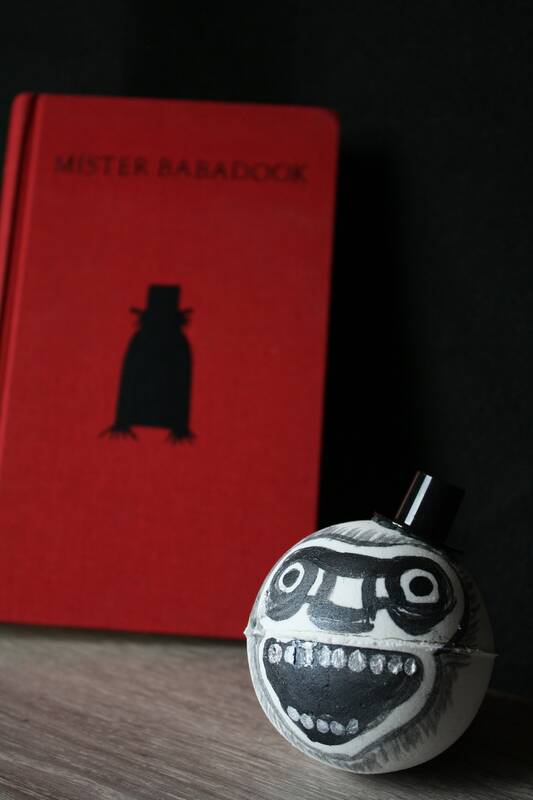 Inspired by the horror film, Babadook is a white bath bomb that features a handpainted face and a small plastic top hat to complete the look. 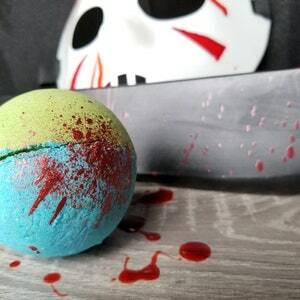 It smells just like watermelon bubblegum to bring you back to your childhood! 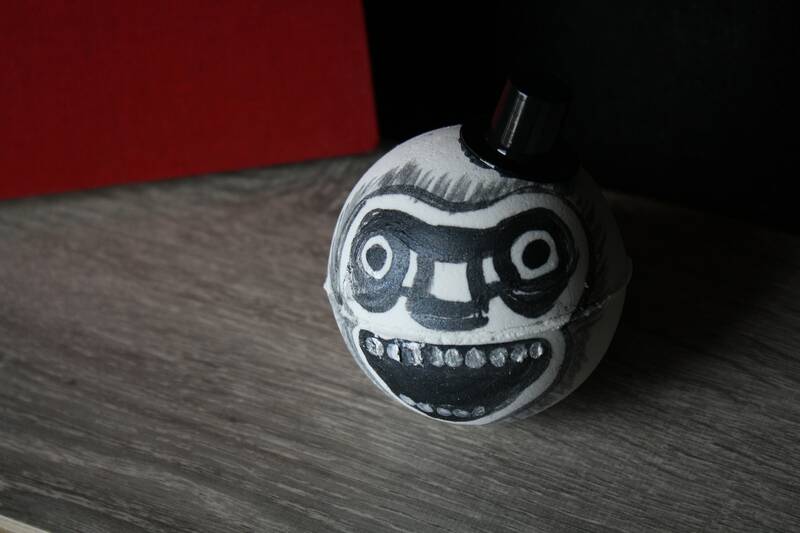 Take a break from fighting your inner demons and plop Baba into your tub, as it dissolves it will create foamy swirls of white! 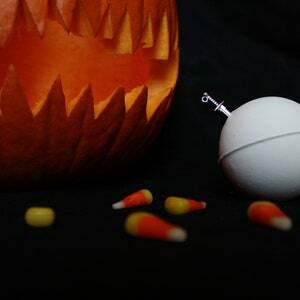 Be sure to bring your homemade weapons with you and if you hear three knocks, don't let him in! 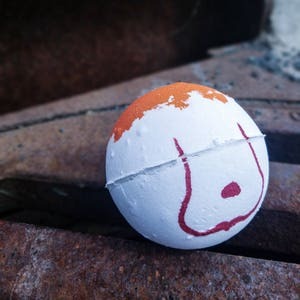 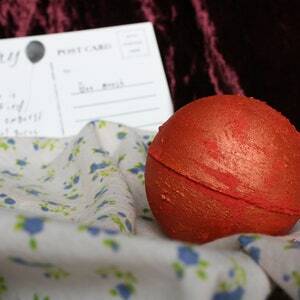 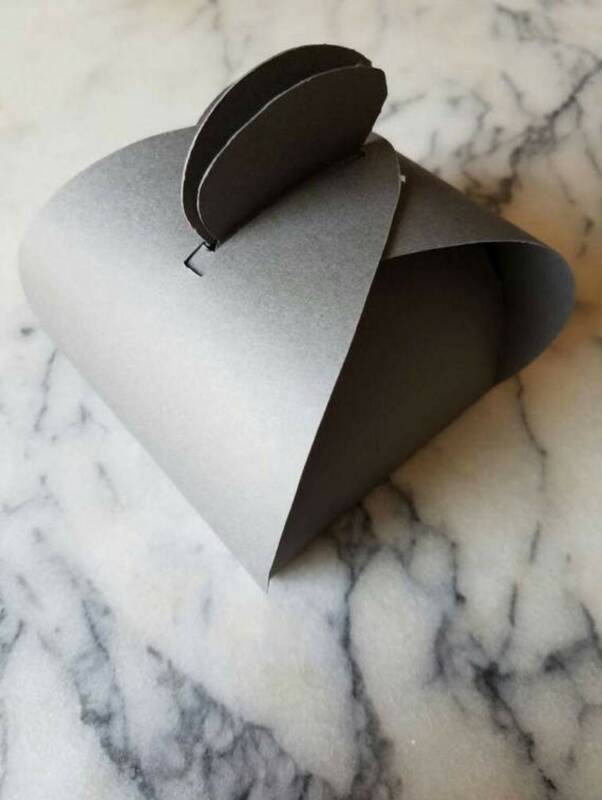 This listing is for one bath bomb that is approximately 2.75" and comes with a small plastic hat.